A group of environmental activists make a stand against a Monsanto-style company they believe is decimating the forest by chaining themselves to a cluster of trees marked for removal. What they, as well as a few of the company's workers, will soon discover that the company has been doing weird genetic experiments on the trees to produce a greater yield. As it so happens, these particular trees produce a toxic sap that will rapidly transform a normal living human into an undead flesh-eating ghoul. One thing leads to another, people start getting infected, and the hippies and the loggers will need to work together to survive. 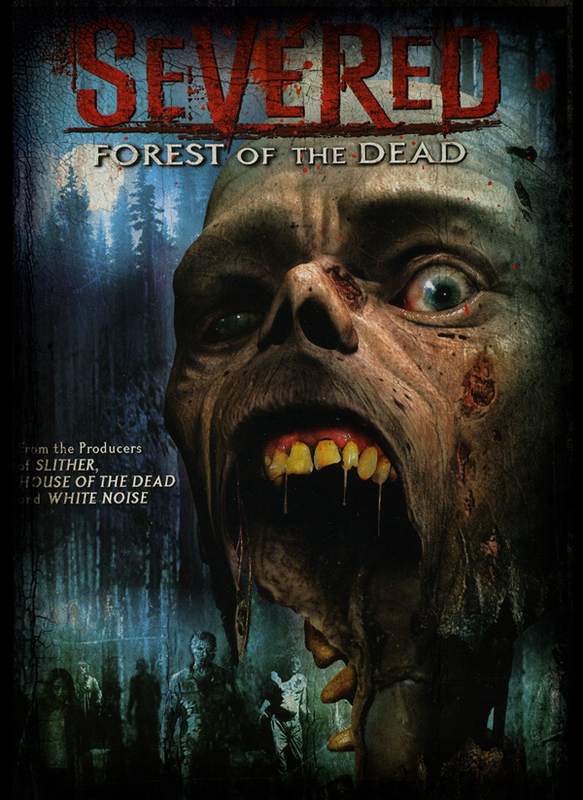 While watching SEVERED, I couldn't avoid thinking of the Romero zombie series, 28 DAYS LATER, and several more of the genre's high water marks. Although the story has enough twists and turns to keep things somewhat interesting, the movie ultimately cannot overcome the feeling of deja vu that permeates the film. The acting was much better than expected, and the writers did at least take same time to develop some of the characters. It's also nice to see a low budget film that uses traditional blood-and-latex effects. But the lack of any original ideas makes SEVERED little more than a competently made, but insignificant, low budget time killer. Director Carl Bessai would go on to direct the 2013 remake of EMBRACE OF THE VAMPIRE. Actor JR Bourne also appeared in THIRTEEN GHOSTS and GINGER SNAPS BACK: THE BEGINNING, while actress Sarah Lind could be seen in THE EXORCISM OF MOLLY HARTLEY and the ridiculous Steven Seagal television series "True Justice."